id Software’s RAGE 2 isn’t out until Spring 2019, but it’s had quite the wild ride already. The infamous Walmart Canada leak first brought the game to light, and coupled with teasers that Bethesda was running around the same time, it seemed almost planned. Almost. Speaking to GamesIndustry.biz, id Software studio director Tim Willits discussed the leak’s timing and how it was “actually quite nice for us.” That’s because the plan was always to reveal the game before E3 2018 to avoid comparisons with the similarly post-apocalyptic Fallout 76. After the retail listing leak, plans were slightly moved up. “It turned out so well that a number of journalists were like, ‘You guys planned that right?’ No, we didn’t plan it,” said Willits. He also called Fallout 76 “a 55,000-ton gorilla we have to compete with,” further justifying the pre-E3 reveal. That being said, isn’t it somewhat concerning that Bethesda is making adjustments so that it’s own post-apocalyptic titles don’t cannibalize each other? What is the appeal of the setting and why does it remain so popular? 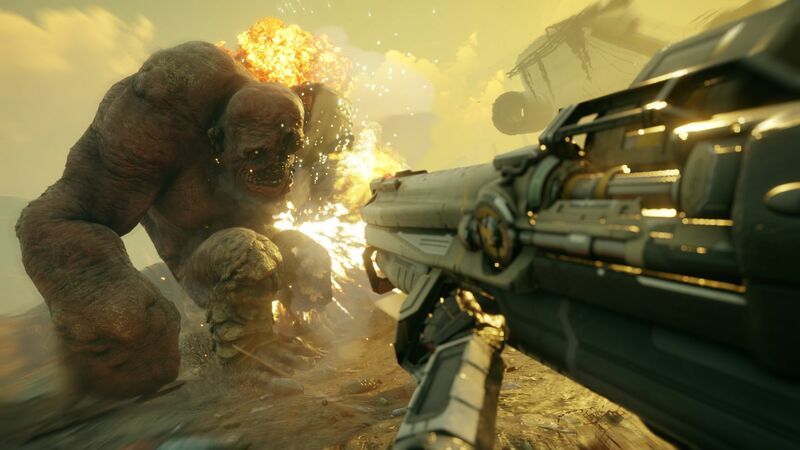 RAGE 2 is currently in development for Xbox One, PS4 and PC. Previous articleXbox’s First Party Is Unpredictable and Exciting For The First Time In Years- What Can We Expect From It?